Gm CB sir.. bought yes bank yesterday.. should I continue to hold?? Hi Anbu, Good morning. sun pharma above 520 can test 545 levels. pfc above 90.5 can test 95. Hi cb sir.. goodmorning... I bought 10600ce at 30.. shall i hold r exit? Hi Ezhil, andhra can test 49. rcom around 26. Hi Geo, yes, can look to enter on a small intraday dip. looks good. Also your view on Kotak Bank. Can we enter on current levels. Hi CB Good morning. Bought Dalmia Bharat @ 2890. Since then its going down. Hold or exit. Hi Abhi, good morning. it has good support in the 2700-2750 zone. can bounce back from here. Hi Chanda Singh, most welcome. can add few above 1128 levels. Hi Anbu, its going a bit weak. can fall further. Can add Tata motors for I intraday? intraday target for yes bnk and hdfc bank? I am holding NFL at 63.. Shld I hold on or start selling at 60?? Hi CB Sir, I am holding ICICI 270PE at 5/-. Shall I book loss or continue to hold? What is RCOM target coming days. What will be intraday target for Wipro? Should i continue to hold DLF 210 CE. Bought @7/- CMP 6.2. Whats your view on PC Jeweller. I am currently holding it at loss. should i book loss and exit or hold for long term. Target for Ashok Leyland for this week please..
Hi subin, can add another 100-120 points. Hi CB how r u? views on L & T ( next month results is it? ) so pl let me know till wt rate shall i wait? Hi DHRAUPATHI, lets hold. does look strong. can test 1380-1400 levels. Your view on Reliance industries plzz , can it reach 960 by this month expiry? Hi CB, HCL tech short & quick heel tomorrow trgt pls .TQ. Hi good morning Sir, I am long on Nifty futures at 10350. At what price shall I book profits? Can it cross 10450 this week? I am also holding icicibank 270 PE @5/-. Shall I hold or book loss in it? Good morning CB. 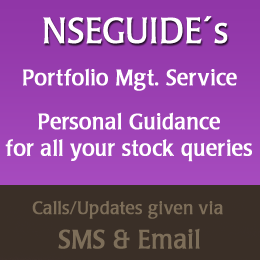 I bought HEG at 3200 can I hold? Hi Jayachandran, Good morning. considering its recent rally, it may consolidate in near term before moving higher. fundamentally is a good bet. can hold onto it. dont add more yet.